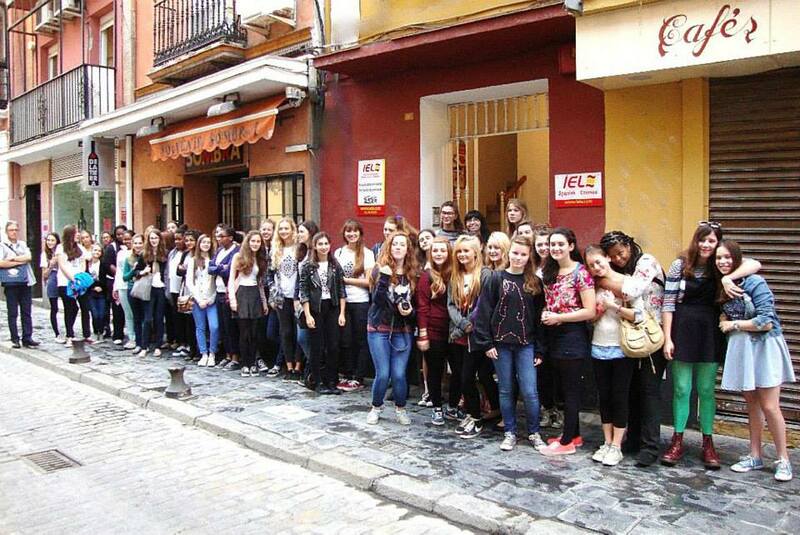 Our school is located in the heart of Seville, in one of the most lively and picturesque areas of the city. It is only 50 meters from the city’s famous Cathedral. This ideal location is surrounded by a number of squares where the people of Seville gather around mid-day and in the evenings to enjoy the weather and eat or drink something together. The language center is of medium size and it is dedicated to the teaching of Spanish as a foreign language for almost 20 years. Normal schedule of the clasees is from 10:00 to 13:30 with a 30 minute break. The school offers you the option to take part in various activities, some of which are free of charge and some of them are billed separately. Objective is to improve your command of written and oral comprehension of Spanish used in the business world. More specific vocabulary and practice professional communication. Levels: Intermediate, Advanced and Superior. The school handles the inscription of the DELE exams. Objectives: To learn flamenco, an important element of Andalusian culture, and the Spanish language simultaneously. All the courses take place in the mornings , Monday to Friday. The courses start every Monday of the year except for except for when holidays fall on that Monday, which will then start on that Tuesday. DELE preparation and Business Spanish courses, for whom there are specific start dates. The majority of our families are located within a short walk from the school. You can choose between half board (breakfast and dinner) or full board (breakfast, lunch and dinner). A single room is always offered unless you specifically request to stay with a friend or partner in a shared room. Students may also choose to live with a family with or without children or pets, smoking or non-smoking. Typically, you will share the apartment with 3 to 5 other people, normally a mixture of international students and Spaniards. Students have complete access to all facilities in the flat, including the kitchen and washing machine. Students have their own bedroom unless they request to share a double room with a friend. Centrally located apartments for one or two people with fully equipped kitchens and bathrooms. Prices are based on facilities and dimensions. Apartment prices include: electricity, internet, water and community charges. There is a 35€ supplementary charge for the arrangement and reservation of housing.